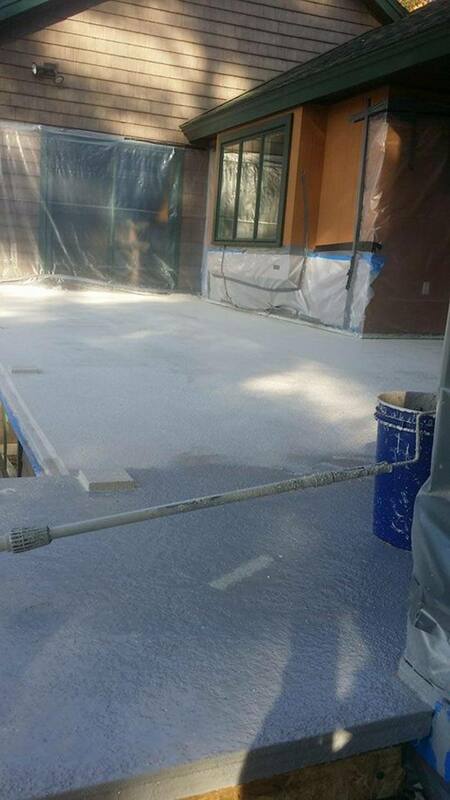 MJW drywall & Foam Insulation also offer and installs high-quality Acrylic, polyurethane and epoxy deck and traffic coatings. 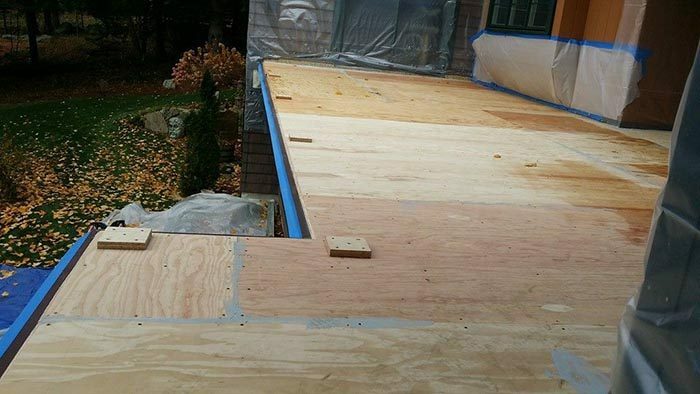 Our Acrylic & polyurethane are great waterproofing coatings they are ideal flat or low pitched roof and decks with dry space under them. They are also extremely durable and have great tensile strength. We add pulverized walnut shells into the top coat to help with durability and traction. Our epoxy coatings are also very durable. We have a lot more color and creativity options whit the epoxy coatings. Our industrial traffic coating are ideal for high traffic areas like bus stations, warehouse floors and parking garage structures. We seal all penetrations fasteners install chamfer strips to allow water to run off any vertical surfaces. We then install a membrane fiber onto all seems this process allows for a much stronger seam it also allows some flexibility if needed for expansion and contraction. We then install a base coat and depending on what the client wants a possible second coat. After that we install the top coat. While installing the top coat we cast and spread pulverized Walnut shells on to the surface’s and back roll it into the top coat. Do this gives great traction in durability. Walnut shells are incredibly durable and have a very high wear factor rating. you can take a fully loaded bus with one of our products that has the pulverize Walnut shells and turn the tires back and forth and you will not lift the material off the substrate surface. Call MJW today for a quote on Spray Foam Installation (603) 601-6283.